Canoeing Ireland is the governing body for Paddlesports in Ireland. Our members and member clubs take part in the sport in the following disciplines: Sprint, Slalom, Marathon, Freestyle, Paddlesurf, Polo, Wildwater Racing, Open Canoeing, Paddlesurf, River Running, Sea Kayaking and Stand-up Paddle boarding. Canoeing Ireland is a Sport Ireland recognised National Governing Body. Raises awareness on Paddlesports in Ireland with Governmental bodies, Local Sports Partnerships and other Semi State bodies. Canoeing Ireland maintains an accurate database to service the membership. This database contains personal and professional data of our membership. The information is collected by Canoeing Ireland through individual and Club submissions. There is 3rd Party access through our Database provider Sulware and we have a confidentiality agreement between Canoeing Ireland and Sulware to protect the membership’s personal data. All information on the database is either provided directly by the membership, through training & assessments for courses or through events run or sanctioned by Canoeing Ireland. Individuals have the right to remove data from their profiles at any stage of through direct access to their profile at any time once the account has been created by the Individual or the Club. The information on the database is not passed on to any third party outside of Canoeing Ireland unless consent has been given by the individuals either through signing up to a training or assessment course (information must be registered with Sport Ireland for the course) or they have entered an event ran by a sanctioned organisation through Canoeing Ireland (such as Junior Paddlefest, Galwayfest or Blueway 10k which is run with Waterways Ireland). The details the individuals put on the database may be used after an event to promote an award given or a special recognition to an athlete for outstanding achievement. The permission to use the photographs from the event will be recorded by the event waiver form and rule book when signing up. Please email the event organiser if you wish to remove consent at a later date. The information on the database may be used to contact the membership to highlight courses they may be interested in or explain changes or updates to the organisation. By signing up to Canoeing Ireland membership you consent to be informed of important events within the organisation. At any stage you can contact the Canoeing Ireland team on info@canoe.ie or 016251105 and we will respect your request to stop processing your data. 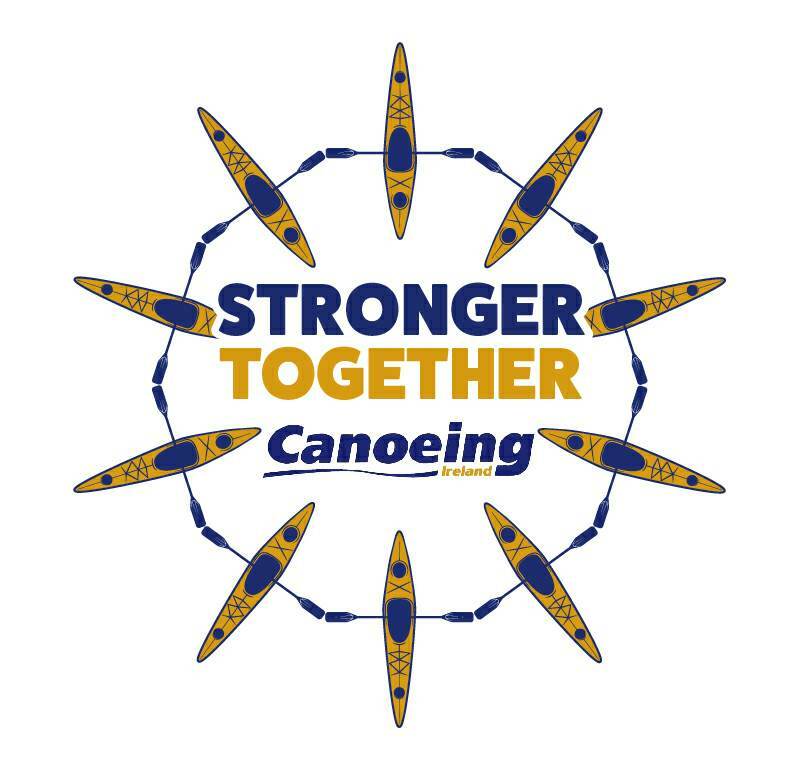 Please be aware to be an active member of Canoeing Ireland there is basic information that must be collected to effectively manage your membership. You can choose which type of information you would like to receive from Canoeing Ireland and we will endeavour that we only use your personal information to contact you with information that is important to the organisation or relevant to you. If you provide us with contact details for a method of communication, we will assume that you have given us your consent for us to update your record and communicate with you using this information unless you have told us otherwise. Contact details provided directly by you will update any previous preferences in relation to this channel unless you inform us otherwise. Enter the email address you would have given Canoeing Ireland when you joined the organisation. Go to your email address. You should now be logged onto your profile. If you cannot access your profile, contact the office for more details: info@canoe.ie or 016251105. Tipperary Sports Partnership Partner with Canoeing Ireland for selected programmes and funding initiatives, only members who sign up to the initiatives will have their information passed between the organisations. Waterways Ireland Partner with Canoeing Ireland for selected programmes and funding initiatives, only members who sign up to the initiatives will have their information passed between the organisations. All personal information is treated confidentially and with respect for the benefit of Canoeing Ireland and its members in accordance with the Data Protection Act and GDPR. Any personal information we obtain will be held securely on the Canoeing Ireland database. This is hosted within the EU and is fully SAS 70 Type II Certified and PCI DSS compliant. We take appropriate steps to ensure that we only record and store information which is relevant, that we keep securely, that is accurate and up to date. Personal information will not be disclosed to external organisations other than those acting on the instructions of Canoeing Ireland. Where this is the case, a written contract or appropriate data sharing agreement will be put in place between Canoeing Ireland and the third party to set out the purposes for which the information can be used and the security measures that must be in place. We do not sell your personal data to third parties under any circumstances or permit third parties to sell on the data we have shared with them. We also facilitate communication between individual members and clubs, but in doing so we do not release personal contact details without prior permission. We may also disclose relevant contact details to fellow members who are arranging events or other Canoeing related events if we believe they may be of interest to you. Any transfers of your data overseas (outside of the European Economic Area), for example to an international organisation or International Canoe Federation, as set out above, are protected either by an ‘adequacy decision’ by the European Commission (declaring the recipient country as a ‘safe’ territory for personal data) or by standard contractual clauses adopted by the European Commission (which give obligations for the recipient to safeguard the data) or, based on DARO’s self-assessment of the risks involved with the transfer and its determination that the data will be adequately protected during and after the transfer. Opt Out at Any Stage by emailing info@canoe.ieOr 016251105. The Canoeing Ireland office is responsible for monitoring compliance with relevant legislation in relation to the protection of personal data. The legal basis for processing your personal data for the interdependent purposes set out above is that it is necessary for the pursuit of Canoeing Ireland’s legitimate interests (carried out on their behalf through the database), or the carrying out of a task in the public interest. We always handle your personal data securely and minimise its use, and there is no overriding prejudice to you by using your personal information for these purposes. In addition, there is no statutory or contractual requirement for you to provide us with any personal data. Where you exercise your right to erasure, Canoeing Ireland through Registration will continue to maintain a core set of personal data (name, certification received, email address and date of birth) to ensure Canoeing Ireland does not contact you inadvertently in future, and to maintain your Professional qualifications for archive purposes. Canoeing Ireland may also need to retain some financial/personal records about you for statutory purposes (e.g. Tax back, anti-fraud, Garda vetting and accounting matters).